Situated in the heart of Rishikesh, 'EllBee Ganga View' is one of the best located hotels facing River Ganga. .
NaturOville is your ultimate Ayurveda health retreat to offer you authentic Ayurveda, Yoga and Naturopathy services with world-class luxury living. Raga promises a rejuvenation of body, mind and soul. Every nook and corner of the resort has a surprise waiting for you � from breathtaking views, wild seasonal flowers and the birds that come to flock on the flowering trees, Raga is truly a "resort" to one's soul. 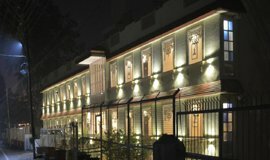 Hotel The Amaris, Rishikesh is a premium leisure and business hotel which offers a perfect blend of traditional hospitality and new-age facilities. Time flies away and moments leave an imprint on the ones mind eternally. Many such memories await your presence to come into existence. 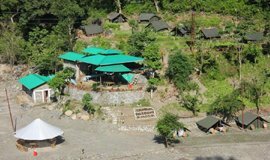 The CAmp provides excellent service and superior facilities make for an unforgettable stay. Day 1 : Start your day with visit to Ramjhula & Laxman Jhula.Both these iron suspension bridges built in 1986 across the river Ganges are one of the iconic landmarks of Rishikesh. Near Laxman Jhula visit Kailash Niketan Temple, a temple with 13 storeys. The view from the top of this temple is magnificient.Enjoy the river rafting in river ganga in case you are seeking for adventure or if travelling with small kids visit famous Beatles Ashram,Swarg Ashram, Bharat mata Mandir and not to miss Ganga Aarti in Parmarth Ashram Rishikesh.Overnight at Rishikesh. 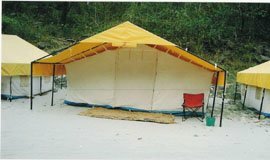 Day 2 Camping and Trekking in Rishikesh :- Start day two seeking adventure. 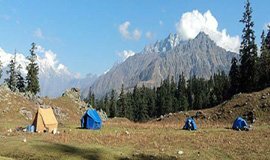 Surrounded by beautifully cut out mountain paths and spotted with camp sites, you can go trekking, to be one with nature, explore and record via pictures. You can book a guide for long distance expert treks or just go out with your sports shoes on, straight from your hotel into the streets of the city, discovering the yoga capital of world. Day 4- Rishikesh to Mussoorie:- After Breakfast transfer to Mussoorie (90 Kms / 2.30 Hrs ). Visit Kempty Falls, located at 15 kms before Mussoorie and nearly 1382 metres above sea level.Do sightseeing of the corporate Garden that homes colourful flowers and a man-made water body. 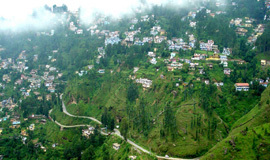 Enjoy the trip to Lal Tibba, the best serene location in Mussoorie at Landour. 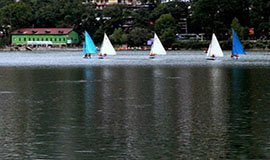 Stroll at the Mall Road in evening,tour of Gunhill placed at an elevation of 2122 metres and offers an exhilarating views of mighty Himalayas and the Doon valley and overnight at the hotel. 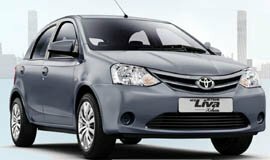 "It is at a comfortable location, few meters away from the point where you can walk along the banks of Ganga. The rooms are clean with necessary Amenities. The staff does best to satisfy the customers. The restaurant has a great view and decent food. The hotel arranged a comfortable pick up and few activities for us. As per the Amenities again this place is more of a luxury motel." 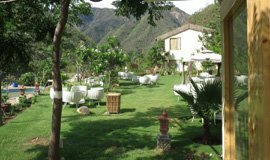 "Stayed in this hotel 3 times and felt that the location is great for many activities. The hotel provided an unobstructed view of the surroundings so every morning you wake up to a fresh start to begin your day. The service is good and hotel room is very clean. I particularly like the vegetarian food in the hotel-sattvik." "If you dont care luxury acomodation, this is your option. Has an amazing views from the ganga river, is a modest place to stay for few days, has an a great spa inside, i recommended the abhyangam ayurvedic massage, you will feel really wannabe after and days after that. Yoga class are free and their instructors are really good. "Comfortable, good rooms, right beside river, though it doesn't have much water but still it is a good location to be at. 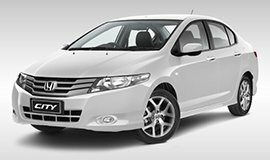 Parking is not available and you have to park on the road and walk a bit to the reaort, that is not a big issue as there are lots of cars parked there on road. Food is nice and tasty. Staff is good. " "This is a very nice property on bank of river with nice views of mountains and river it also has access to Ganga beach which is around 2 storey downwards. This hotel has a swimming pool, kids pool is missing but their are some swings for children, also has a garden area and game zone , food is quiet ok. overall a nice experience in a quiet place." "We Booked this hotel as a last minute arrangement. But location of this hotel is good, but some people who has to go to temples It's may not be the best place. Staffs are good and courteous. The keys of the Rooms were a big turn off, Their lunch menu is must try. Food is good in taste." "This hotel is amazing!!! 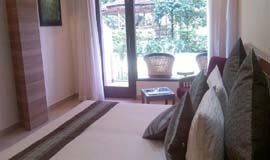 I had a beautiful room with a very big and comfortable bed, views of the Himalayas, and a clean bathroom. I stayed here for a month and was so sad to leave!! The staff was amazing and fun and helped us organize everything we needed at great prices! The food here was amazing and I looked forward to every meal! I will definitely come back and stay here again some day! " "Simply awesome. Have already visited twice in a short span of time, it is that good. Great property if you are a nature lover. Great food everyday, everytime. Nicely built cottages with big glass walls to enjoy greenery. Great crew for making rafting very comfortable n safe. Relaxing Evenings near bonfire. White sand beach on ganges like in Maldives. Very few places where they allow you to have your own drinks around bonfire. "Sattva is an wonderful experience; it's a place that draws you into its serene arms, pampering you so that you would never wish to leave. The minute you step out of the car, you are greeted by the warm and hospitable staff. Sanctify your mind and body. "Excellent location with great food n good spacious rooms.�"Great location, pleasant stay, best hospitality..""
"Amazing view from the balcony of the hotel. Adjacent to River Ganga. The garden view rooms are less costly by Rs 1000 or so. One can always take the garden view room and step out to view the river and mountain in the backdrop. Parmart Niketan is just on the opposite banks. This is basically an extension of Ashram with basic necessary amenities." 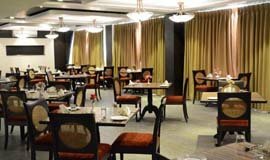 Considerably, 4 star hotels offer one of a kind facilities like Nespresso machine in each room, buffet breakfast, Upholstered seat/couch with side table,clothing administration, swimming pool, minibar,Spa, rec center and numerous more administrations that will obviously make your stay vital. 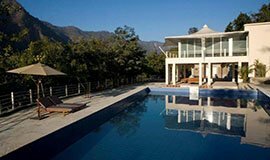 These Hotels in Rishikesh could be a brilliant choice for vacationers or supporters should dependably love a superb stay over the long haul. 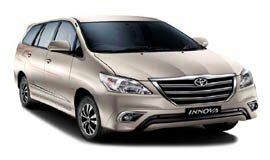 We prescribe selecting a reasonable hotel which is situated in the heart of Rishikesh or near airport transport stop or railroad station contingent upon the motivation behind your visit. Different 4 star lodgings are put crosswise over city helping you to pick your advantageous remain. 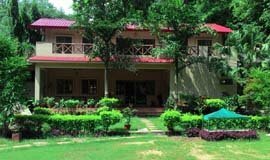 There are 13 four star hotels in Rishikesh namely Atali Ganga, Cradle Of Life Camp, Hotel Aranya, Hotel Naturoville Ayurvedic And Yoga Retreat, Hotel Raga On The Ganges, Camp Gold Coast,Ganga Beach Nature Camp and Red Chilli Beach Camp . 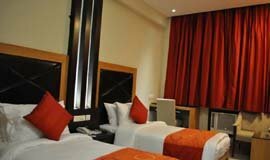 Tariff for 4 star hotels in Rishikesh starts from Rs. 4000/- only. Hotels offers all the luxuries and amenities with crucial comforts. 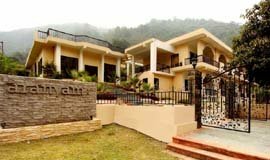 Rishikesh Hotels- Where You Want To Stay? 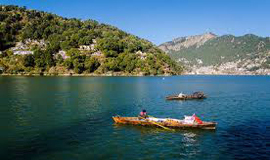 Rishikesh Local Sightseeing Attractions in Uttaranchal, is a famous journey destination in India. Many people trust it as the place where there is divine beings. The grand Himalayas, the heavenly stream Ganges, myths and legends, sanctuaries and friars make Rishikesh an alleviating goal where the devotee discovers true serenity and soul. The marvelous nature is a noteworthy draw for the non-adherent. Added to that, the sufficient extent of enterprise games highlight among the vacation destinations in Rishikesh. In Rishikesh Sightseeing Places For vacation destinations are numerous however the celebrated rishikesh attractions are-Laxman Jhula,Triveni Ghat,Bharat Temple,Nilkhanth Mahadev Temple,Kailash Niketan Temple,Swarg Aashram,Gita Bhavan,Shivanand Aashram,White Water Rafting, Treaking etc. Among the 194 three star hotel in Rishikesh the most popular one are e Ananda in the Himalayas, Anand Lok Resort, Atali Ganga, Bull's Retreat, Camp Feel Factor, Dewa Retreat, Naturavilla, Nirvana Palace, Raj Mahal Hotel, Hotel Naturoville Ayurvedic And Yoga Retreat, Hotel Raga On The Ganges, Junglee Resort, Hotel Ojas Resort, Hotel Namami Ganges, Palm Holiday Inn Bar and Resort, Hotel Chanakya Resort, Hotel Welcome, Hotel Aloha On The Ganges. 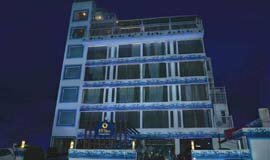 There are 42 three star hotels and 5 five star hotels in Rishikesh. 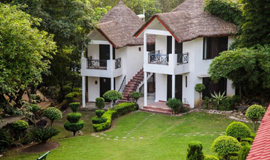 The Luxury hotels in Rishikesh are priced above Rs. 4000. 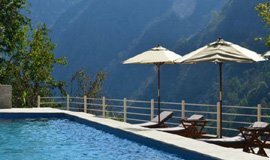 Tariff for Rishikesh hotels starts from 4000 and goes to 8000,charged by Rishikesh luxury hotels it can also hike in summer season. 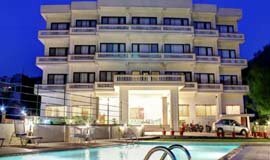 Luxury hotels in Rishikesh include premium amenities like bathtubs, swimming pool, fitness centre or gym, bar/lounge, restaurant, jacuzzi, sauna, massage services, Wi-Fi, dry cleaning services, valet parking, banquet hall and conference rooms for business meetings. 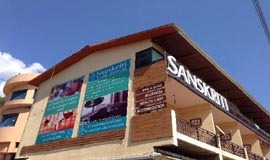 There are 96 Budget hotels in Rishikesh which are priced below Rs. 3500. Tariff for hotels in Rishikesh starts from 800. 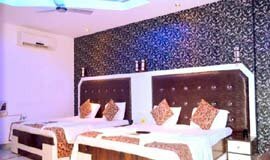 Cheap hotels in Rishikesh may provide basic amenities like a Telephone, AC, 24-hour front desk,security and housekeeping staff on call, private bedroom, colour TV,. These hotels are affordable and value for money. Rishikesh, a most serene spot in northern Uttar Pradesh, encompassed by slopes and separated by the wide and languid Ganges, is regularly asserted as the `Yoga Capital of the World'. Back in the 1960s Rishikesh increased moment notoriety as the site where The Beatles came to stay with their master, the Maharishi Mahesh Yogi. It is a fabulous spot to ruminate and concentrate on yoga. Rishikesh is additionally a decent beginning Laxman Jhula indicate for treks Himalayan journey focuses, for example, Badrinath, Kedarnath , Gangotri, Yamnotri.It is appropriately called the door to the Himalayan Shrines of Badrinath, Kedarnath, Gangotri and Yamunotri. 7 Story Temple Situated 24 km upstream from Haridwar, at the conversion of the Chandrabhaga and Ganga, Rishikesh has for quite some time been an otherworldly focus. It is said that the sage Raibhya Rishi did serious retribution here and as a prize, God appeared to him as Hrishikesh, consequently the name. 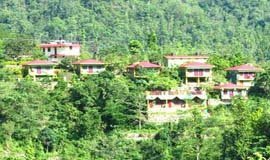 Rishikesh has various ashrams, some of which are globally perceived as focuses of philosophical studies, yoga and reflection. A universal yoga week is sorted out here consistently by U.P. Tourism somewhere around second and seventh of February. For the daring, there are open doors for white water rafting on the Ganga. The atmosphere here is mainland sort however its area in the foot slopes gives it a wonderful climate consistently. One can visit Rishikesh at whatever time of the year. Tourists visiting Rishikesh can also plan a trip to Haridwar, which is approximately 20 km away. 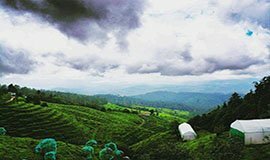 This hill station is home to a number of attractions, including Mansa Devi Temple, Chandi Devi Temple, Har Ki pauri, Kankhal, Rajaji National Park etc. Apart from visiting Haridwar, travellers can pay a visit to Narendra Nagar. Rishikesh has mainland kind of atmosphere. 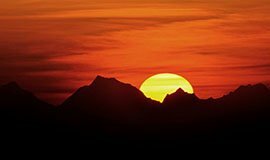 The climate is very satisfying all during that time and can be gone to at whatever time of the year. In any case, the best season to visit is from mid-September to May. 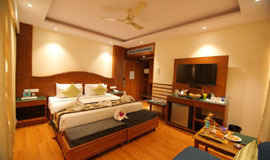 Book online Hotels in Rishikesh, grab privileged discounts on Rishikesh hotel room rates,packages of 2,3,4,5 star hotels in Rishikesh at best rates?Your search ends at www.allseasonsz.com-Uttarakhand largest online travel company since last two decades.